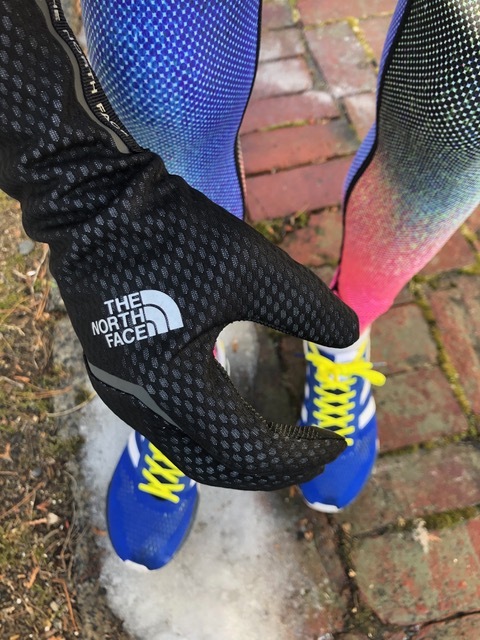 Road Trail Run: The North Face Gore CloseFit Tricot Gloves Review: New Infinium fabric tech creates a remarkably comfortable, versatile, multi activity, all seasons companion! The North Face Gore CloseFit Tricot Gloves Review: New Infinium fabric tech creates a remarkably comfortable, versatile, multi activity, all seasons companion! The NorthFace Gore CloseFit Tricot Gloves represent one of the very first products made with Gore’s new Infinium technology. 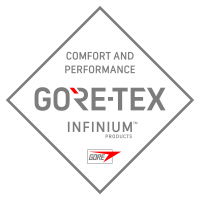 Gore created Infinium ( a sandwich of membrane and other fabrics) for situations when “comfort and performance take priority over waterproofness.” The single seam Closefit gloves are thin, soft, only slightly stretchy, very form fitting and well articulated. They are highly wind resistant and very breathable, as well as decently water resistant but are not waterproof. They are a great companion for high output activities such as running and as a super functional (grip and touch screen use) liner under heavier gloves and mittens. The palm starting at the thumb and the next two fingers have a series of printed silicone dots for what has proven to be great grip and durability. All the fingertips and rest of the palm have U/R Powered soft shell for five finger touch screen operation. During our four tester evaluation, thanks to the Infinium’s wind resistance and some very light brushed fleece on the back of the hand they have served as a standalone glove for a variety of high output activities down into the 20’s F / -3 to 4 C for some of us, as well as liner under alpine ski mittens. At somewhat warmer temperatures, they have also proven comfortable absorbing little moisture despite their snug fit. Of course your own hand comfort range will be personal. The wide range of temperatures comfortably possible, durability, touch screen operation functionality, and sleek looks truly make these gloves a multi season, multi activity piece of gear that should always be in your pack or bag! 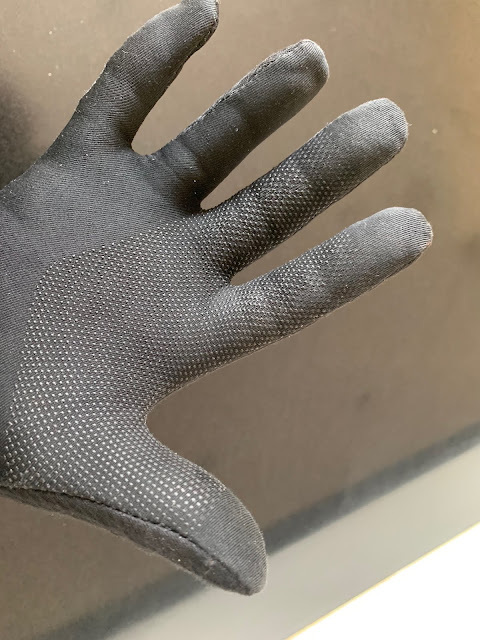 Jeff: I didn’t really have any expectations, but the gloves are thinner than I imagined and also more tapered at the wrist, meaning that even the men’s glove has a tapered women’s glove look (I had to double check the packaging to confirm they are indeed Men’s). There is no insulation beyond a very thin brushed fleece on the back of the hands, nor any substantive cloth pile. There is a taut, but somewhat stretchy feel to them. Quality feels top notch with a nice grippy non slip coating on the upper palm, extending along the thumb, forefinger and middle finger to help grip ski poles and other winter tools and to reduce the chances of fumbling slippy items like an iPhone. I have very thin hands/fingers (wedding band size 7.5), and normally wear a medium glove and these fit true to size, long enough for my fingers, reaching the ends without feeling confined or having extra material at the tips. Sam: I noticed that after 3 or 4 uses the women’s medium which I shared with Dominique has stretched some. I usually wear a size men’s size medium glove. Don’t size up from your normal glove size, these are designed to fit snug and too much room will have you struggling with the touch screen capabilities. If you don't care about the touch screen capability sizing up will allow you to ball your hands some when really cold as I did with the X Large pair Gore sent. Sally: First of all, let’s preface this with the fact that I almost always prefer a mitten, unless the temp is over 40 degrees. My hands are always cold. For last year’s cold and wet Boston Marathon, I dressed in far more kit than others advised, and yet I was comfortably warm and finished the marathon without hypothermia. EXCEPT for my hands! No amount of wool mitten liner, waterproof (supposedly) outer mitt, and handwarmers could keep my hands functional. So I rarely choose a glove over a mitten for warmth. We did not see mild temps in New England until yesterday, so I was excited to finally give these gloves a try. I might be a petite female runner, but I have large “manhands” and wear a glove size 8. The women’s small fit a bit snug on my hands, particularly the trigger finger. Others have said that they stretch a bit after several wears, so I am hoping for that. The fingers were plenty long. These gloves are very light, comfortable, and smart looking. The long gauntlet wrist is unique - hoping it will serve to keep my wrists warm, and hence my hands. Jeff: I have used the gloves trail running in temps from as low as the mid 20’s in the dark with high winds and dabbing hands in fresh snow, all the way up to the 50’s and sunny. I found them to be adequate for those mid 20’s temps if you are moving at least at a moderate intensity and generating heat, but if moving at a casual pace or stopping for a few minutes, my fingers got cold and then had trouble warming up again. At warmer temps, like 30’s and 40’s, I had no trouble staying warm. I should note that although I have a tendency to dress more conservatively on the side of warm, more often than not I prefer and am comfortable with non insulated, but thin clothy glove liners for most of my runs in the mid 20’s up to ~50 degrees. Colder than mid 20’s, I’ll wear a slightly thicker glove liner type glove (but this is all for high output activity). On a recent calm, mid day sunny run in the 50’s, my hands were comfortable and not too warm. Water resistance is excellent, having made slushy snowballs and dabbed my hand in fresh fluffy snow on cold runs without any soaking. I do find that my hands can get a touch clammy and damp from the inside, but the Gore Infinium keeps the wind out and heat contained which beats a soaked out, more porous liner. When my hands are somewhat clammy (when running hard), I find that I have to work them a bit to pull them off (vs. quickly sliding off gloves by clenching the tip of the middle finger in my teeth and sliding them off). Touch screen performance is good. The actual touch sensitivity is excellent, though I find that with any glove, precision is compromised as one would expect. I can operate my iPhone 8 such that I can punch in my passcode, take a photo, answer a call, make a call, check texts, activate Siri or perform basic app. operations, but if the target of what you are trying to press is small, then it can take a few tries. I would by no means be able to type any text and often outside the most basic operations, prefer to remove my glove, or wait till later. Dexterity is excellent and I am able to easily operate my GPS watch, wireless headphones, zippers, clips, buckles, etc…. So far durability is good. I have seen no wear whatsoever with the gloves, using them for daily runs, while grabbing rocks and trees, etc....I will update after more use and see how long it takes me to blow through the fingertips, which always happens to me due to rock scrambling or using my hands a lot on very steep runs. Dominique: The North Face Gore-Tex Closefit Tricot Gloves, proved to be multi-functional, super versatile as well as free of wear and tear, after weeks of sporting them during the month of January in Park City, UT where I used them to run, Nordic ski, Alpine ski as well as for general wear. They totaled over 65 miles of nordic skiing, 10 days of Alpine skiing under mittens, and every day wear, including to Sundance movies. Below a picture of what they look like now. With the exception of some light wear of the silicone dots on the first two fingers below the touch screen soft shell, they are like new. Obviously, they are not a dedicated nordic ski glove with their leather palm and often double layers of palm reinforcements, but for more occasional holding of poles and certainly for running and everyday use one should expect at least a couple of years of use out of them. I ventured to wear the gloves cross country skiing, spurred by their close fit and sleek design, as well as their breathable, water resistant, and windproof qualities. On colder days, hand warmth was a bit compromised, however, the ease of strapping my poles to my hands was noticeable as well as the lack of blisters – not always a given! 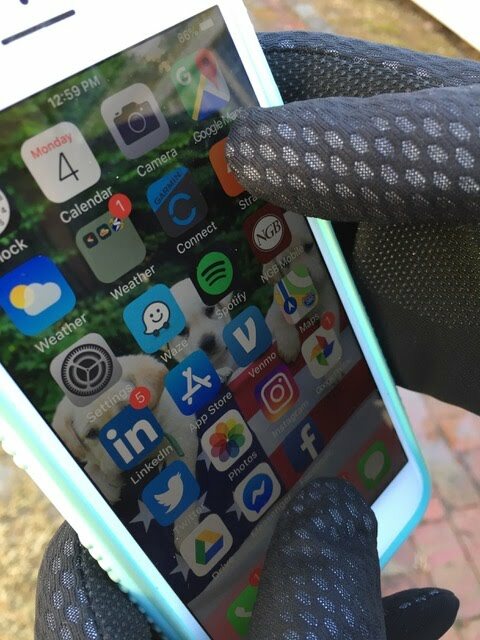 The five-finger touch screen capability allowed me to operate my phone without having to remove my gloves although I had to make sure that the tips of my fingers were in tight contact with the tips of the glove fingers. When Alpine skiing, I wore the gloves as a liner to my mittens for added comfort and protection. 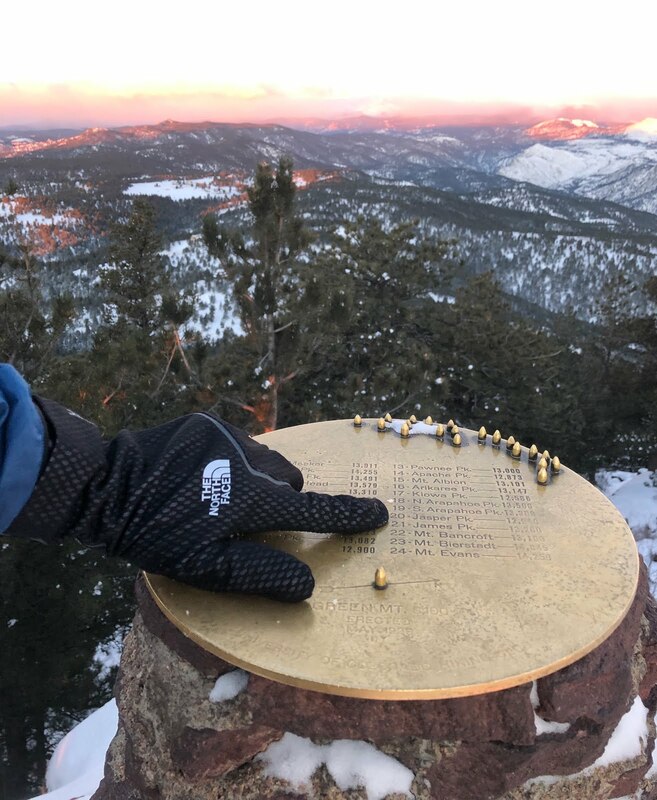 Unlike wool liners, the gloves with their silicone dots on the palms enabled me to get a good grip on my skis when holding them without mittens. Again, I really appreciated the five-finger touch screen capability when operating my phone so that I could keep my gloves on and my hands warm. Despite their sleek and thin and snug design, their somewhat looser long wirst length provides enough room for a layer with thumbholes to fit under the glove when added warmth is needed and also rolled back easily enough to see a GPS watch. In terms of warmth, this is a factor a bit hard to determine and based on everyone tolerances. Back in New Hampshire, I wore them running in 22 F weather with a wind chill factor of 14 F. My hands felt fine though they would have felt cold if I had been Nordic skiing with wind on downhills. I was fine nordic skiing in Park City well down into the 20’s with no wind. Testing gear, as I frequently do, means that some items will get more long term use than others. The North Face Gore-Tex Closefit Tricot Gloves have become my favorite gloves and I wear them driving, grocery shopping, and walking around town, in addition to skiing (as described above) and running. 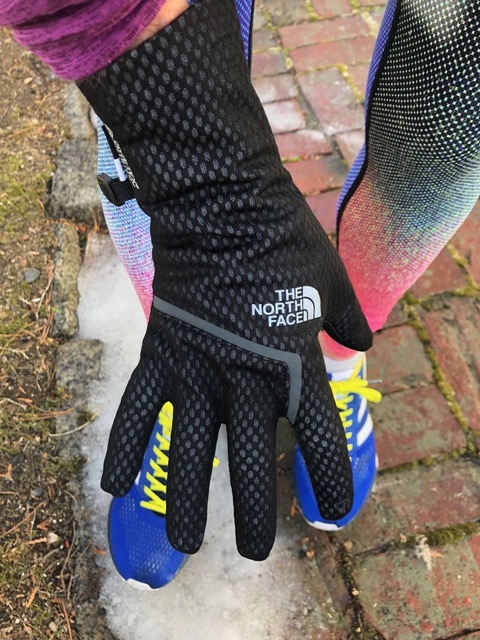 Sally: Runners who prefer gloves in the colder months are going to love these for many reasons. They are sleek, comfortable, supple. The long back of the glove has great windblock capabilities. The dexterity while wearing these gloves is seemingly unparalleled - it is awesome to have touch screen capability in all the fingers, not just the one trigger finger. You can easily operate your GPS watch, use your phone, or take a photo without removing them. They will be great around town gloves for the shoulder seasons here. I remain unconvinced that they will be warm enough to keep my perennially cold hands warm on a run in chilly temps, but that is strictly a personal variation and preference. Milder days? I love them! The only drawbacks (besides the above biggie) for me were the challenging overlap/incapability with the long gauntlet wrist and my GPS watch. I like to wear my Garmin against the skin for wrist heartrate accuracy, and that doesn’t work with these gloves. I had to roll them/shove them above the wrist to make room for the watch, so that defeats the purpose of the design of the long wrist gauntlet. Secondly, though the fabric on the backs of the thumb and the hand is surprisingly soft, there is no dedicated nose wipe fabric! Like thumb holes on a running top, this is a key feature for me. Have you tried this in rainy weather yet? Wondering if this glove would be suitable in the spring/fall Pacific NW where temps are mild but can be wet.